Mediocrity can be fatal. It can be a crippling disease that can rob you of greater opportunities in life. To rise above the mediocre life, you have to embark on a journey to become the best version of yourself. This particular journey entails seeking out what your true passion in life is; for where there is passion, mediocrity ceases to exist. Know your passion. Dream it. Live it. Many stumble and fall in pursuit of this fleeting moment. It can be done. You might be wondering how would you be able to reach your full potential, your #bestmeever. 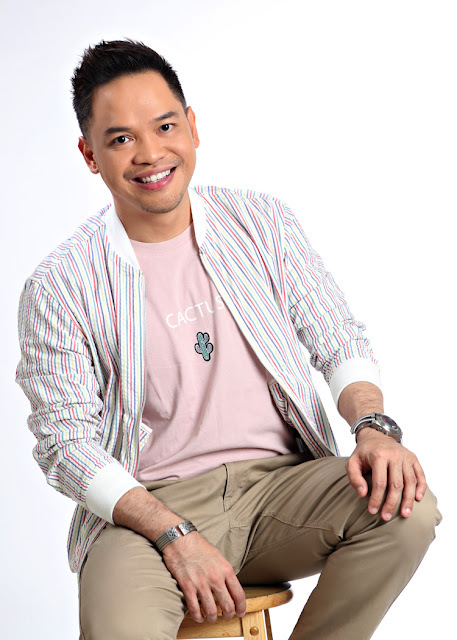 Myke Celis has been in the Advertising and Marketing Industry for more than a decade. From being a top player in the corporate world to putting up his very own Advertising agency, Myke regarded work as something that you should have the passion for. It doesn’t necessarily mean that you have to have that zest for your day job at the click of a button. Developing a grateful attitude towards your work can somehow spark a bit of passion every single time. For Myke, this approach has proved to be very fruitful one. With much love for his job, excellent output was produced and this paved the way for much greater things. Eventually, Myke ventured into several businesses, a luxurious body and home care line (Smell Chic) and a premium hair salon (The Hair Lounge Salon), among others. This journey maybe filled with challenges and struggles. Do not let these dishearten you or cause you to flip back to your mediocre life. Myke’s journey to becoming his #bestmeever has its share of obstacles and hurdles; it wasn’t all spring and summer. A betrayal of a dear friend almost cost Myke his beloved agency that he worked hard for. It was looming to extinction, but what kept Myke fighting for it was his quest to be the best version of himself, and arise from this unfortunate incident. He did not let this single incident bring him down. True enough, with just a matter of time and some cleaning of his yard, the agency was able to get back on its feet. To be able to reach his best self, Myke needed to embark on a healthy lifestyle. A traumatic relationship that led to a break up caused him to love himself less and prioritize the other person over his own. Losing that unhealthy weight was indeed a struggle at the beginning. Devoting a chunk of your time for your workout routine and sticking to a healthy diet is no easy chore. But it can be done. You just have to make the choice and stick to it. To become your best version, you have to take care of your health first. Everything is going well for Myke. His agency is flourishing once again, he is on track with his weight loss program and he has a book that has already been published (100 LIFE LESSONS FOR SUCCESS). But he still has this inkling feeling that there is so much more in store for him. The quest to unraveling his true passion continues. He did not stop because everything is back on track, he followed his heart and his heart is telling him that there are greater things waiting for him, he just has to find it out for himself. So he worked hard, maintained his positive outlook in life and shared this with others. Every single day, he would post a positive quote on his social media account, reminding him of every single thing that he has to be grateful for, despite any run-ins that can happen in that day. These quotes were beaming with much hope and gratitude that people were asking if they could have these reposted on their walls. What started out as a gesture of gratitude for life led to the publishing of his second book, #bestmeever. Myke’s purpose in life is unraveling itself. His continuous effort and hard work to find where his true passion lies, landed him his ultimate dream, to be a certified life coach. Before the realization of this dream, he was always inspired in everything that he does. Sure enough, the universe acknowledged this and led him to his passion, his purpose in life. From the book to the radio he goes! Myke’s inspirational words can now be heard live, via live radio telecast on the country’s KBP Golden Dove Awardee for Best AM Station, the Inquirer Radio. 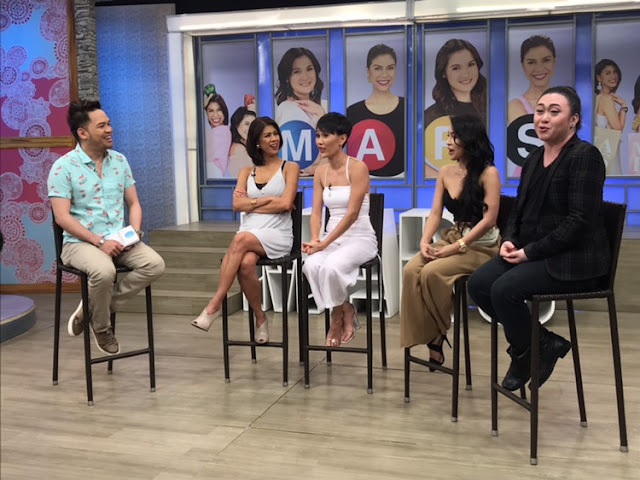 With multiple TV and radio guestings on the side, Myke is slowly making a name for himself as the next Boy Abunda of Multimedia. Witty, charming and very straight forward, Myke brings with him a breath of fresh air whenever he hosts (or guests) in a program. Where your passion lies, is the opportunity to become your best version. Myke has been helping others discover theirs and he is a living testimony that anything can be done as long as you put your heart to it and infuse it with hard work, gratefulness and determination. It hasn’t been a smooth ride; there will be circumstances and people who will try to pull you to the other end of the road. Do not let them. When you dream, dream big, but you also have to work hard for it. There are risks involved. Myke chose to dream big and did not let any ill circumstance get in the way of him achieving his full potential, his lifelong dream. He took the risks, embarked on an endeavor that will forever change his life. You can too. Do not be afraid to plunge into the pool of your dreams, be prepared for any obstacles but consider these setbacks as stepping stones to your end goal, your passion, your #bestmeever. You may be closer than you think. Who needs the Zenfone Max Pro? Online dating: yes or no?